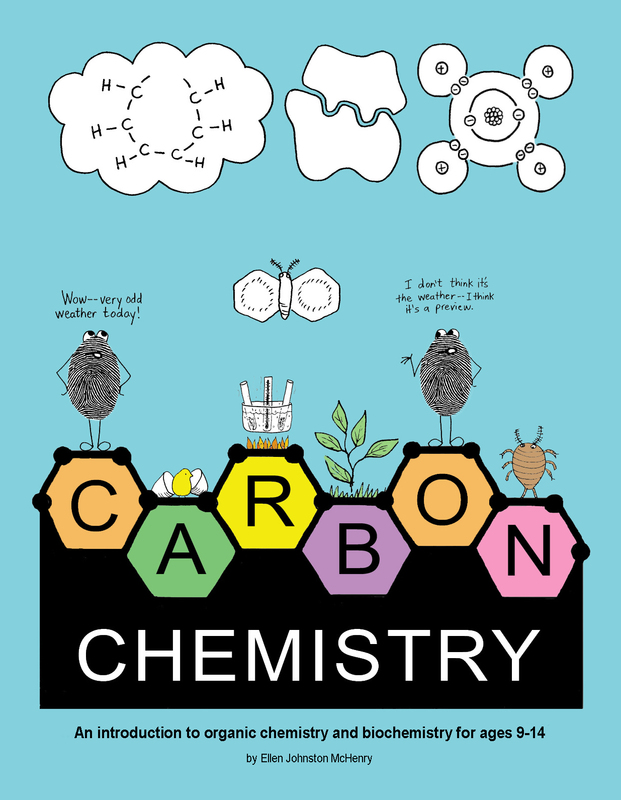 View cart “Carbon Chemistry (Digital Download)” has been added to your cart. NOTE: A playlist has now been set up for this curriculum at www.YouTube.com/TheBasementWorkshop, click on Playlists, then find Carbon Chemistry. Description: This curriculum is designed to be a follow-up to “The Elements.” If you’ve finished that curriculum and want even more chemistry, here is a unit all about carbon-based chemistry. The style of the text (including the bits of whimsical humor) are the same as in “The Elements,” but the student text is more substantial (83 pages) and therefore requires more reading. The activities are still very fun and age appropriate. There are games, experiments, cool demonstrations, recipes, songs, a dance, and a skit. Topics covered: A quick review of what an atom is, three types of atomic models, an overview of the carbon atom and its allotropes (diamond, graphite, buckyballs), introduction to organic chemistry (alkanes, alkenes, alkynes, e.g. methane, propane, butane), refining of crude oil, isomers, saturated and unsatured molecules, functional groups (alcohols, carboxylic acids, aldehydes, ketones, esters, ethers), combination of functional groups (sodium benzoate, nitroglycerin, soap, pheromones), plastics and polymers, rubber and silicon polymers, carbohydrates (simple sugars, starches and cellulose), fats (saturated, unsaturated, trans and cis fats), proteins (amino acids, polypeptides, protein folding and its significance, the lock and key principle, structure of DNA), and finally the carbon oxides (like CO2) and the carbon cycle. Activities included: A comprehension self-check list of questions for the student at the end of every chapter, on-line research questions at the end of every chapter, some pencil and paper word puzzle activities (crosswords, etc. ), building models of carbon’s allotropes, organic molecules card game, burning experiments, counting carbons song, paper chain alkanes, make marbled paper, benzene ring dance, functional group card game, experiments with acetic acid, isopropanol, and acetone, experiment with soap and surface tension, benzaldehyde snack, recycling plastic relay race, sorting plastics using chemical analysis, experiments with water-absorbing polymers (found in diapers), plastic product testing, the Plastic Song, skit about Charles Goodyear, skewering a balloon, demonstrating molecular motion using a plastic polymer, making “slime,” experiments with Silly Putty, testing for starch, artificial sweetener taste tests, glycogen tag game, cake recipe testing (for fats), insulation experiment, The DNA Song, experiment with an enzyme, using rennet in a recipe, the carbon cycle board game, and suggestions all through the text of websites to visit for extra info and activities. In addition, there are instructions for how to throw a “polymer party” to wrap up your unit. There are extra review games, as well as ideas for snacks and decorating. Student text booklet: 83 pages divided into 11 chapters. At the end of each chapter there are comprehension self-check questions the students can answer to see how well they read and understood. There are also some extra on-line research questions. (Don’t worry– there is also an answer key!) The student booklet also contains some pencil and paper activities such as word puzzles, plus suggestions for safe websites they can visit for more information.